THE old saying that poets are born and not made might often be applied to the engineer. John Smeaton, one of the great, pioneer engineers, served no apprenticeship, spending, indeed, some years in his father’s calling of attorney. Born in 1724, not far from what was then the inconsiderable town of Leeds, Yorkshire, Smeaton spent his early days in the comfort of a professional man's country house, never so happy as when he was making models that would work, or watching and catechizing any mason or carpenter who was employed near by. Later, at Leeds Grammar School, though an average scholar, he still used every spare moment in making things. The steam engine was, in his school days, a novelty and was chiefly used for pumping water from mines. One such engine being erected for this duty not far from Leeds, Smeaton studied the process to such purpose that, without drawings, books or other assistance, he built a miniature engine and pump. With this, to his parents’ chagrin, he completely emptied the family fishpond. In this period also he made a turning lathe and learned how to handle effectively all sorts of tools. Such was the engineer’s boyhood. Later sent to London to study law, he wrote home asking to be allowed to follow his own bent. His father wisely consented and Smeaton became what, nowadays, we should call a mechanic. In 1750 he was established as an instrument maker in London. Hard-working student and experimentalist he remained, contributing papers to the Royal Society. In 1759 he received the Society’s Gold Medal. In that year, too, was completed a work which decided Smeaton’s future as a civil engineer. The dangerous Eddystone reef, off Plymouth, Devon, had been marked, from about 1700, by a wooden lighthouse, fantastic in design and so unstable that three years later it was washed away bodily in a gale. Its successor, also of wood, but of more workmanlike construction, was destroyed by fire in 1755. As the light was essential to navigation the President of the Royal Society, which was then the only organized scientific body, was asked to suggest someone capable of building a new lighthouse. Smeaton was recommended and appointed engineer. He tackled the work with characteristic thoroughness, and carried it through, often at great personal risk. By 1759 a granite lighthouse 95 feet high, with its spreading base virtually growing out of the rock, was sending out its much needed warnings to ships. Each block of stone was cut so that it dovetailed rigidly either into its neighbour or into the rock. There is a tendency in the light of modern knowledge, to belittle some of the achievements of the early engineers, but many of the things they were called upon to do had never been done before and there existed none of the information that is available in such enormous mass to-day. Smeaton’s lighthouse was novel in every way and was planned with real science. Its upper part was dismantled about 1877 and rebuilt on Plymouth Hoe, as the sea had undermined the rock under the base. The base still stands. The new lighthouse, completed in 1882, is situated on another part of the Eddystone reef. Smeaton’s reputation having been assured by this enterprise, his services thereafter were in continual demand in the building of bridges, waterworks, canals and harbours, the drainage of the fens and many other projects, including much work of the kind now known as mechanical engineering. Here again conditions were unlike those of to-day. There were no mechanical excavators, no portable engines or locomotives and few skilled men. The engineer responsible had to improvise as he went along, using his own experience and common sense. An illustration of this occurs in the building of Ramsgate Harbour, Kent, on which Smeaton is credited with being the first engineer to use the diving bell. This, a wooden case with an open bottom and sufficiently large to hold two men, was lowered into the water, bottom downwards, with the men in it. Air pumped in from a boat floating above the bell kept the water level inside the bell just above its bottom edge, and the men could thus perform their work of building stone piers below the water. Smeaton’s life was one of unremitting industry. Conscientious to the last degree, he would undertake nothing without preliminary and careful experiment, and his methods of work set a standard for his own and succeeding generations. Smeaton’s great contemporary, James Watt, refers to him as “Father Smeaton”, and Robert Stephenson, writing of him nearly seventy years after his death, recommended young engineers to study Smeaton’s published papers. 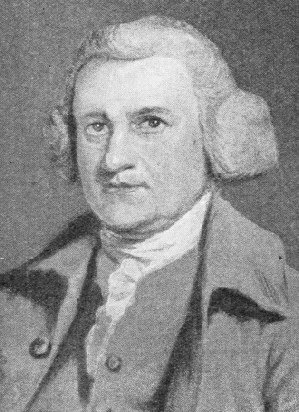 Moderate in his ways, unassuming in manner and retaining his North Country directness of speech, Smeaton was respected and welcomed in the learned and cultured circles of his day. He died on October 28, 1792, survived by two daughters, in the house in which he was born, Austhorpe Lodge, near Leeds. He was buried with his forefathers in the little church of Whitkirk, situated close to his birthplace. You can read more on “Sentinels of the Sea” on this website.